When you need a reliable HVAC contractor and plumber, contact Rite Rate Heating & Cooling the most affordable and trusted plumbing, heating, and air conditioning company in Mountainside, NJ! We offer services which include plumbing, air conditioning, and heating repair, replacement, installation, and maintenance! All of our services are provided by trained and experienced contractors and plumbers that guarantee 100% customer satisfaction. If you want quality repair or installation, we’re the plumbing, air conditioning, and heating company for you! The professional plumbers in our company have the best skills in installations, repairs, and replacements be it a drain, sump pump, bathtub, shower, faucet, sink, or toilet! Our plumbing services are affordable and you can always trust that we’re here 24/7 for any emergency plumbing repair you may need. In addition, Rite Rate also offers sewer and drain cleaning, flood assistance, and video camera inspection of the pipes. You can trust that the plumbing in your home or business is in good hands with Rite Rate Heating & Cooling! Whether you have a business or home that needs the help of a heating company in Mountainside, NJ, contact Rite Rate! We have a team of expert contractors who are adept in offering services such as installation, replacement, maintenance, and heating repair! If you ever experience no hot water or heat, we’re here 24/7 for emergency heating repair for your boiler, furnace, or hot water heater. We’ll inspect the heating system and fix it in no time. 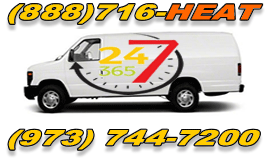 Call our heating company anytime for a free estimate on a new heater installation or to schedule a maintenance visit. Our air conditioning company in Mountainside, NJ has all of your air conditioning services covered. Rite Rate provides affordable air conditioning installations, repairs, replacements, and maintenance for all commercial and residential AC systems. This includes air handlers, packaged air, heat pumps, forced air, central air conditioning, and much more! Whether you need 24hr AC repair or a new ductless air conditioner installed, Rite Rate has the solution.